Profile - Lee Barker Builder, LLC. 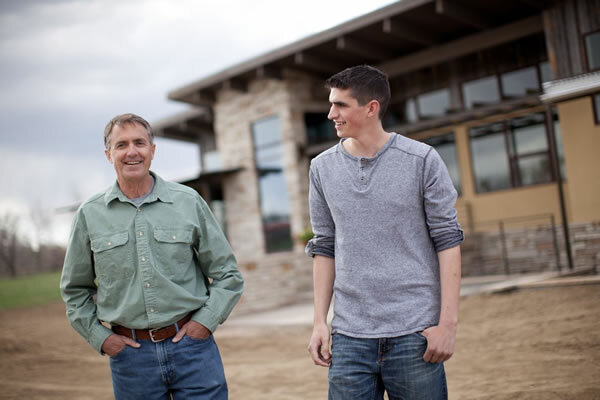 Lee Barker has been building energy efficient homes in Northern Colorado for over 13 years. Lee’s continuing education and commitment to high performance homes have earned him a reputation as one of the leaders in green building; Lee was inducted into the Built Green hall of fame and honored by Larimer County for his professionalism in his pioneering work in Green building and development. Lee’s career began as an apprentice carpenter in New England restoring centuries old homes. After 16 years in the remodeling and new home business, Lee returned to Northern Colorado where he worked as a supervisor and manager before establishing his own company in 2005. Lee’s son Alex, joined the company in 2012. An avid climber, Lee has scaled many of Colorado’s fourteeners, as well as, Grand Teton and Mount Rainier. Lee has lived in the Northern Colorado area for the past 25 years.